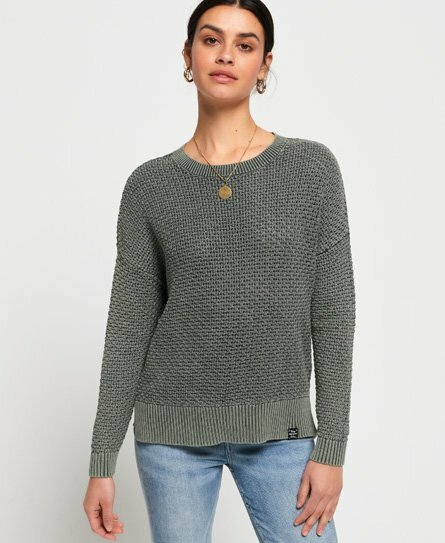 Superdry women's Freya acid wash knit. Update your collection of knitwear this season with the Freya acid wash knit, featuring a classic crew neck, ribbed cuffs and hem and side splits to create a flattering silhouette. Finished with a Superdry logo tab on the hem.